Botany has something for everyone. And it's so satisfying to watch young ones transfixed by a flower's beauty, or astonished as they watch a plant germinate one centimetre at a time! To help the youngest generation discover the world of plants, we provide support to primary school teachers. Teachers can apply to receive a botany toolkit to help introduce their students to the world of plants. Each year, we distribute hundreds of kits that make it possible to hold these educational events. The program includes: the creation of a herbarium, the growing of seedlings using seeds from the kit, a plant quiz, an introduction to the fundamentals of botany... And posters that can be hung on the wall to continue the immersion year-round! 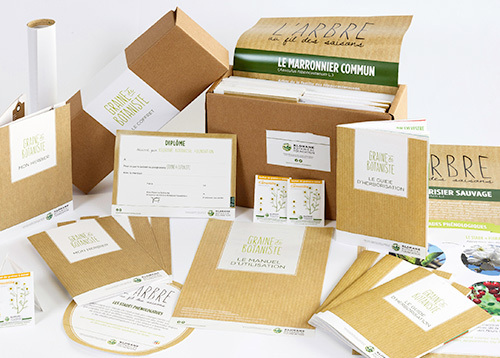 For each child: 1 herbarium kit, 1 packet of seeds to sow, a certificate. For the classroom: 4 posters, 1 plant collecting guide. For the teacher: 1 guide on how to use the kit, and many online materials. 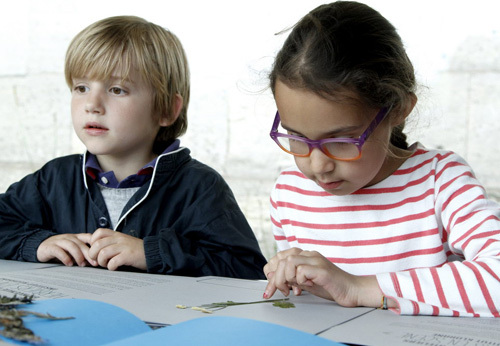 Registration for the "Budding Botanist" program is dedicated to french teachers. 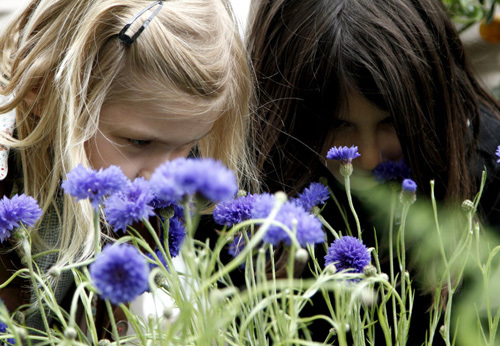 As our lifestyles come to involve less and less direct contact with nature, we believe it is especially important for young children to be exposed to botany. And as it happens, sharing is in our foundation's DNA. With the "Budding Botanist" program, we introduce children to the incredible richness of the plant world to build their relationship with nature. This is the goal of our educational approach, which is brought to life through collaboration with volunteer teachers. This program has existed since the early days of the Foundation. Each year, an average of 600 classes register with the program, meaning that nearly 20,000 students are introduced to botany. Become immersed in the world of plants by sowing five different seeds: Oat, blueberry, hemp, mango and Chinese peony. 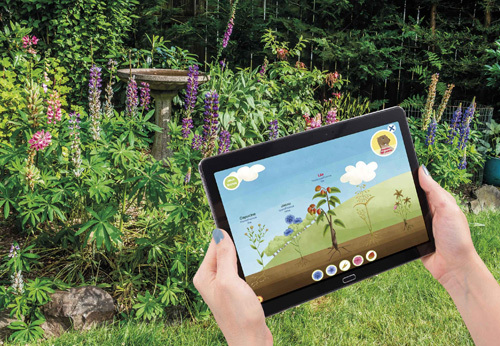 The "Budding Botanist" virtual garden allows young and old alike to expand their botanical knowledge while having fun.